Spring Is Here-What’s Springing Up Within You? It’s beginning to look like spring around my place. 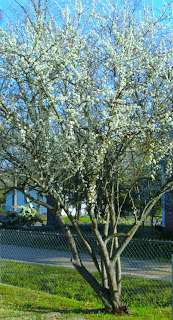 Plum trees and other bushes are beginning to bloom. Upon closer observation of one my plum trees, I see several branches without any signs of spring. Instead these branches are bare, while others around them are covered in blooms. It reminds me of how our lives often are. Certain aspects of our lives can be blooming with newness like spring, while other parts seemingly are in winter -the juxtaposition of being both the best of times and the worst of times. Thank God for a master gardener that knows how to properly prune away every branch in us that produces not fruit and how to lovingly nurture us until it’s our time to bloom. As you take in the sights of spring, take a little time to observe the newness that’s happening with you. Perhaps there’s new ideas/mindsets, new relationships or new ministry opportunities. I pray that you’ll find new and greater levels of His presence, peace, joy, hope, strength, faith and love springing up within you. Isaiah 43:19a Look at the new thing I am going to do. It is already happening. Don’t you see it? Just came to your site from High Calling Blogs. Great analogy – great encouragement. Thanks. Wanda, thank you for sharing and the prayer has touched me. Also, thank you for your kind comments of encouragement to me on my blog. I needed to read them. 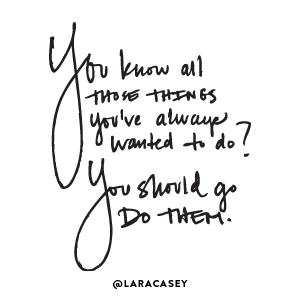 take a little time to observe the newness that’s happening with you. I like that. Thanks for an encouraging post! I can understand the feeling of juxtaposed spring and winter very well. Not all things turns out the way we hope, and even if we pray about it, certain things may be addressed for now, while others are still in waiting or may be something we have to go through. In all these, may we learn to understand that God knows His plans for us, for welfare and not for calamity to give us a future and a hope (Jeremiah 29:11). Thanks for stopping by my blog. 🙂 Last year was a year of major pruning for me, so I can relate. Hello Wanda! Thanks a bunch for stopping by "My Heart Speaks…" and leaving a comment.